Robert D. Kaplan is the bestselling author of seventeen books on foreign affairs and travel translated into many languages, including Earning the Rockies, In Europe's Shadow, Asia’s Cauldron, The Revenge of Geography, Monsoon, The Coming Anarchy, and Balkan Ghosts. He is a senior fellow at the Center for a New American Security and a senior advisor at Eurasia Group. For three decades his work has appeared in The Atlantic. He held the national security chair at the United States Naval Academy and was a member of the Pentagon’s Defense Policy Board. He is now a member of the U. S. Navy's Executive Panel. How Geography Shapes America's Role in the World "
Monsoon: The Indian Ocean and the Future of American Power. Excerpted in Foreign Affairs and The Atlantic Monthly. The American Military in the Air, at Sea, and on the Ground. Random House. Excerpted in The Atlantic Monthly..
Imperial Grunts: The American Military on the Ground. Excerpted in The Atlantic Monthly..
Mediterranean Winter: The Pleasures of History and Landscape in Tunisia, Sicily, Dalmatia, and Greece. Warrior Politics: Why Leadership Demands a Pagan Ethos. Excerpted in The Atlantic Monthly. and The National Interest. Eastward to Tartary: Travels in the Balkans, the Middle East, and the Caucasus. Excerpted in The Atlantic Monthly. The Coming Anarchy: Shattering the Dreams of the Post Cold War. An Empire Wilderness: Travels Into America’s Future. The Ends of the Earth: A Journey at the Dawn of the 21st Century. Excerpted in The Atlantic Monthly and Conde Nast Traveler. The Arabists: The Romance of an American Elite. 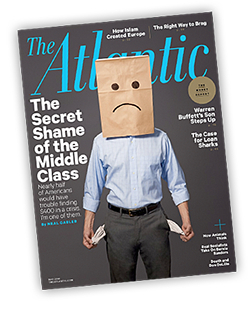 Excerpted as a cover story in The Atlantic Monthly. Balkan Ghosts: A Journey Through History. Excerpted in The Atlantic, The New York Times Magazine, The New Republic, and The National Interest. Excerpted in The Atlantic, The New Republic, and Reader's Digest. 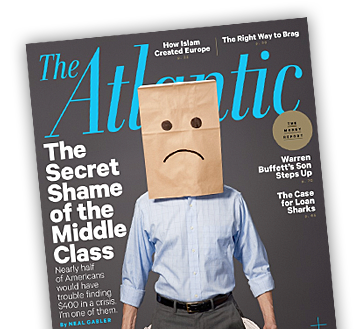 Excerpted in The Atlantic, The Washington Monthly, and The New Republic. Introduction to Modern Library edition By Robert D. Kaplan, 2003. Introduction to Modern Library edition By Robert D. Kaplan, 1999. Modern Library edition, Dec 14, 2004. Robert D. Kaplan is the bestselling author of sixteen books on foreign affairs and travel translated into many languages, including In Europe's Shadow, Asia’s Cauldron, The Revenge of Geography, Monsoon, The Coming Anarchy, and Balkan Ghosts. He is a senior fellow at the Center for a New American Security and a contributing editor at The Atlantic, where his work has appeared for three decades. He was chief geopolitical analyst at Stratfor, a visiting professor at the United States Naval Academy, and a member of the Pentagon’s Defense Policy Board.